The Marine Discovery Center will offer three new camp programs this summer, adding a camp for homeschooled students, as well as six sessions of new two-day camps. Joining a summer schedule that includes 28 different camps for youngsters ages kindergarten to eighth grade, the new programs were added by popular request. Three sessions of the new Salty Scientists two-day camp will be held for children in kindergarten through second grade May 31-June 1, July 2-3 and July 5-6. Campers will focus on sea creatures found on the Florida coast in this program. Three sessions of the inaugural Water Warriors two-day camps will be held for campers in grades 3-5 from May 31-June 1, July 2-3 and July 5-6. This program is designed to expand campers’ knowledge of the world of water with island exploration, fishing and marine-related arts and crafts. “We’re hoping to reach more families who may want their children to have an educational experience, while also enjoying time at the beach during family vacation,” said Michelle West, education coordinator at MDC. 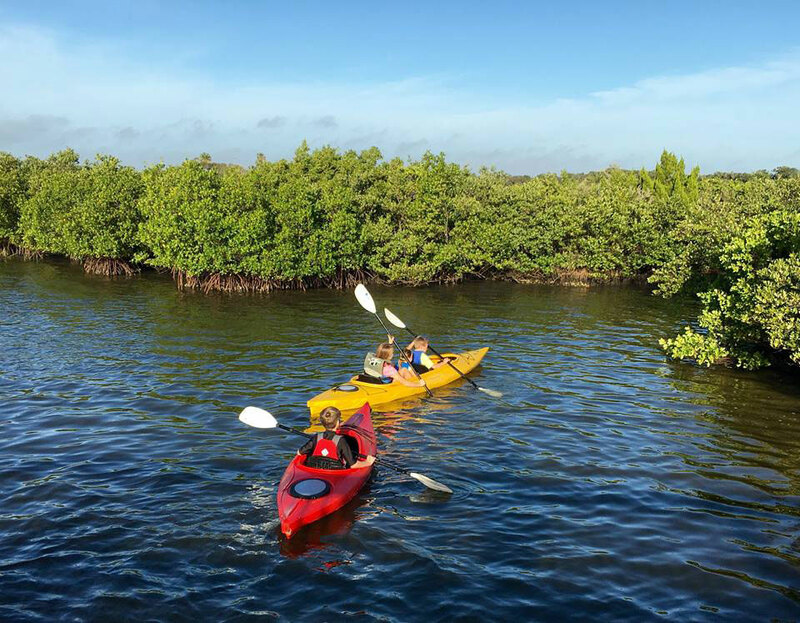 Addressing the need to offer a special program for homeschooled students, the new Estuary Explorers will offer youngsters in grades kindergarten through sixth grade a chance to focus on the ecosystems of the Indian River Lagoon. “This camp will give homeschooled students a chance to meet and interact with other kids who are also homeschooled, as well as to have a fun educational experience away from home,” added West. Other popular camps will be held for Loggerheads (grades K-2), Leatherbacks (grades 3-5), Mangrove Maniacs (grades 3-6), Aquatic Adventures (ages 5-8) and Lagoonys (grades 5-8). 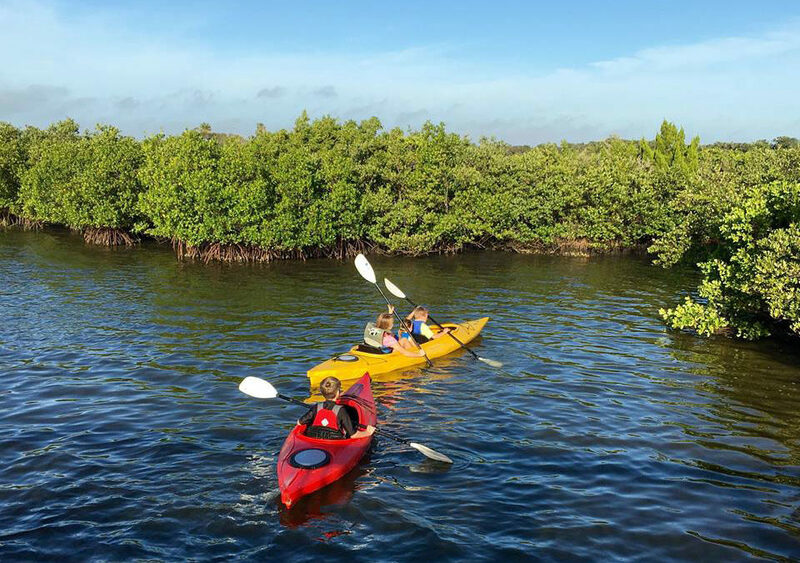 A new field trip will be offered to Mangrove Maniac campers this year. The WaterVentures Learning Lab will bring its mobile interactive learning lab to the center to provide a hands-on look at Florida’s diverse watersheds, water conservation and recycling initiatives. A free resource for the state of Florida offered through the Crystal Springs Foundation, WaterVentures is a 53-foot tractor-trailer that has been transformed into a science-learning lab on wheels. Older children in the summer camp program will enjoy two sessions of FWC Saltwater Fishing camps (grades 5-8), as well as the popular SCUBA camp (grades 5-8). Due to popular demand, one additional half-day camp has been added for archery this summer. Youngsters in grades 3-6 will have three half-day camps in June and July to perfect their archery techniques. “Most of the kids we get have always wanted to try archery, but just never had a place to do it,” said MDC Education Specialist Logan Rohrbach, who is a certified archery instructor. MDC has offered archery for six years, with interest in the program growing each summer. The Florida Youth Conservation Centers Network supplies archery equipment to MDC throughout the year as a community partner in the center’s archery program. MDC’s archery program has a permanent designated archery range on a corner of the center’s campus away from other programming. “It’s a regulation range designed using U.S.A. Archery safety regulations, so not only do the kids in our camps have fun while learning this sport, but they are also safe while doing it,” noted Rohrbach. Voted as the 2017 “Star of the South Best Local Children’s Attraction” by readers of the Daytona Beach News-Journal, MDC’s summer camp programs continue teaching children about coastal ecosystem through feet-wet learning. Last year, nearly 400 youngsters from 15 states and three countries attended summer camp at MDC during 10 weeks of activities. Camp registration at the Marine Discovery Center is currently underway, with available discounts for early registration and MDC members. For details about the camps, contact the Marine Discovery Center’s education office at 386-428-3310. Take advantage of our spring kayak special. Buy one get $10 off second guest. through education, research and community stewardship." Monday – Friday, 9 a.m. – 5 p.m.
Saturday & Sunday, 9 a.m. – 3 p.m.